MINI-PRO ULV Model 2992 Manuf. : Curtis Dyna-Fog Ltd. 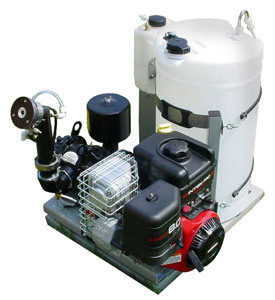 The MINI-PRO dispenses insecticides, fungicides, germicides, disinfectants, odor control and other chemical products. Engineered and developed with the professional in mind. The MINI-PRO is ideal for cattle barns, food processing plants, warehouses, barracks, shopping centers, schools, apartment buildings, grain mills, factories and more. The MINI-PRO is simple to operate, easy to set up, transport and store. This lightweight powerhouse is engineered for heavyweight jobs and offers many features at a suprisingly low cost. Diaphragm Pump - 0-128 oz. Typhoon I (Curtis). 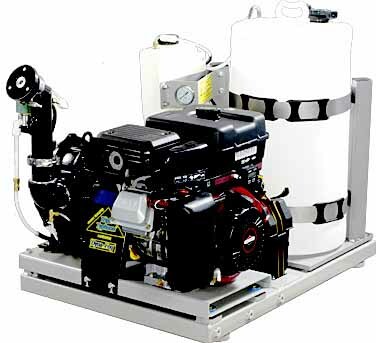 The Typhoon I is a ULV aerosol applicator, designed with only the highest quality materials. The Typhoon I will give reliable service with simplicity. Rigorous quality at all stages of manufacturing ensures that it always gives an accurate application every time.